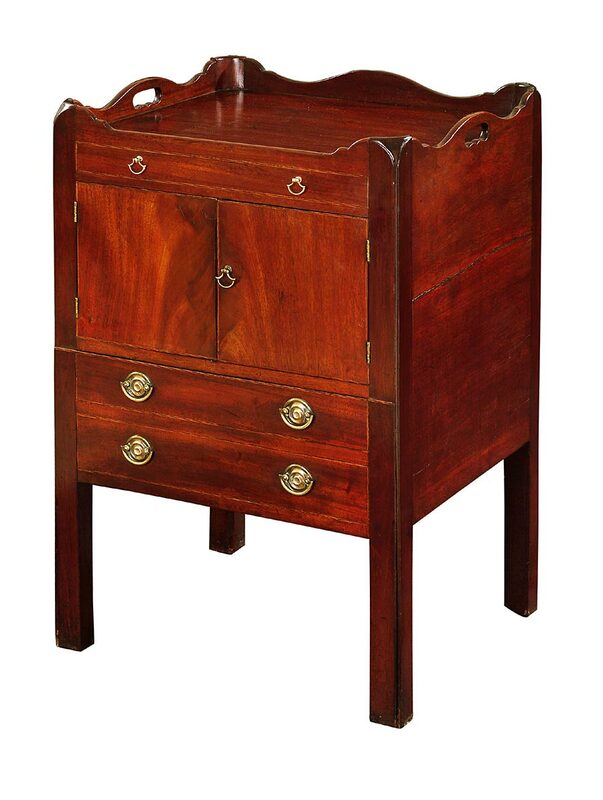 To good quality English bedside commode having a gallery above a cupboard. The lower section has a split leg which open to reveal the commode. This cabinets make wonderful bedside tables.